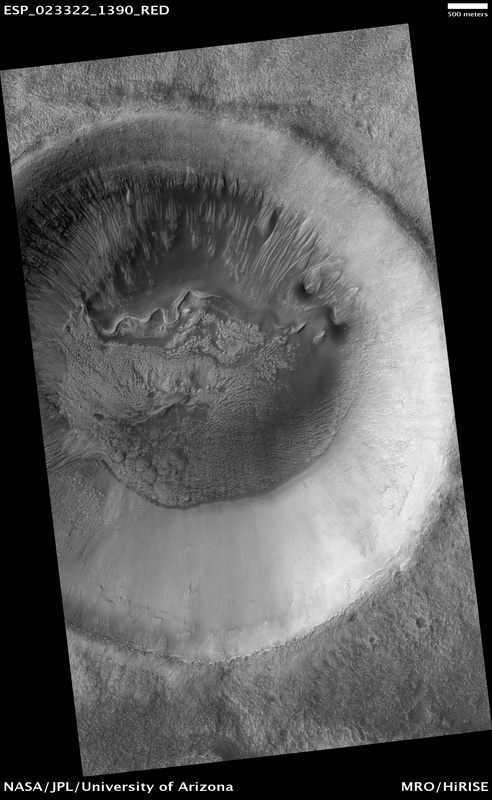 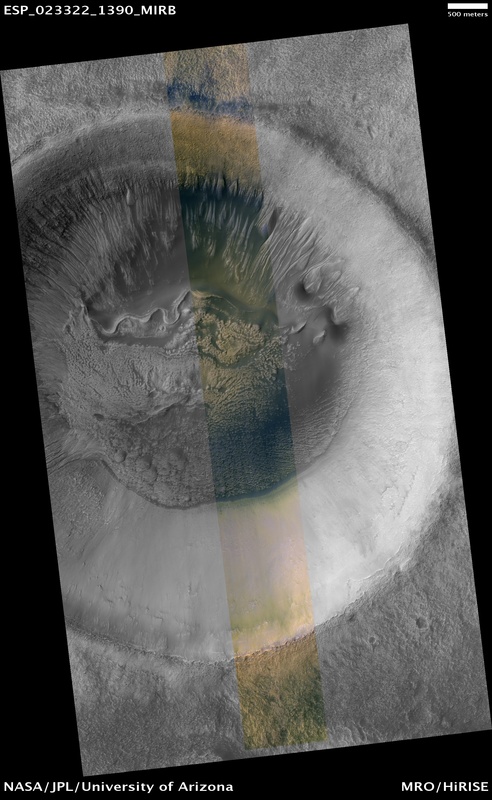 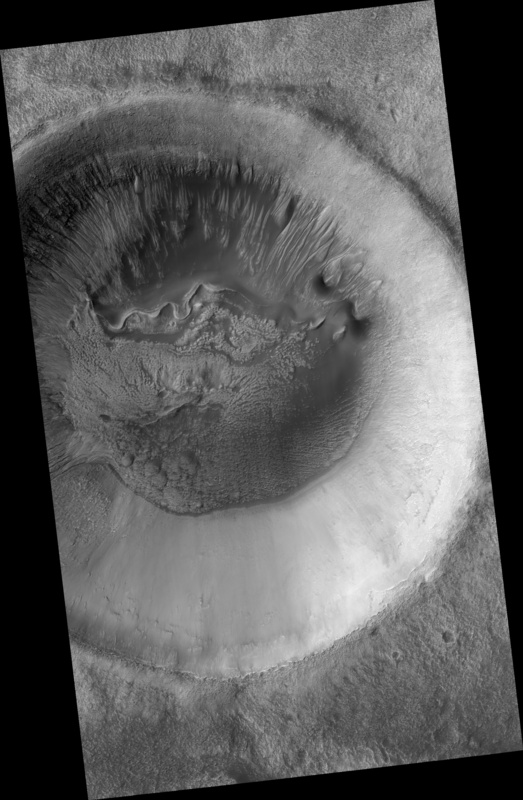 This crater shows prominent gullies on it walls. 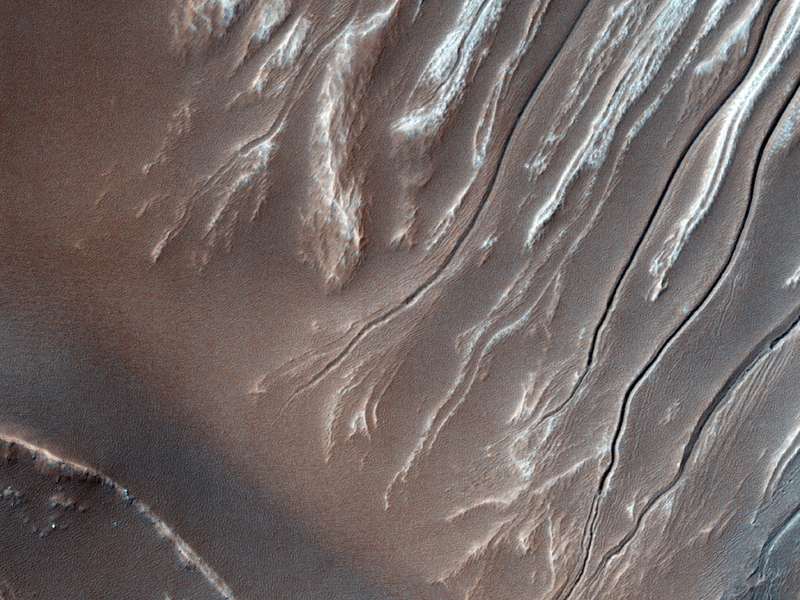 The origin of gullies is controversial, but many, and probably those here, seem to require carbon dioxide or water frost that may fluidize debris flows,or possibly water in an ephemeral (short term) stability state that erodes the surface. 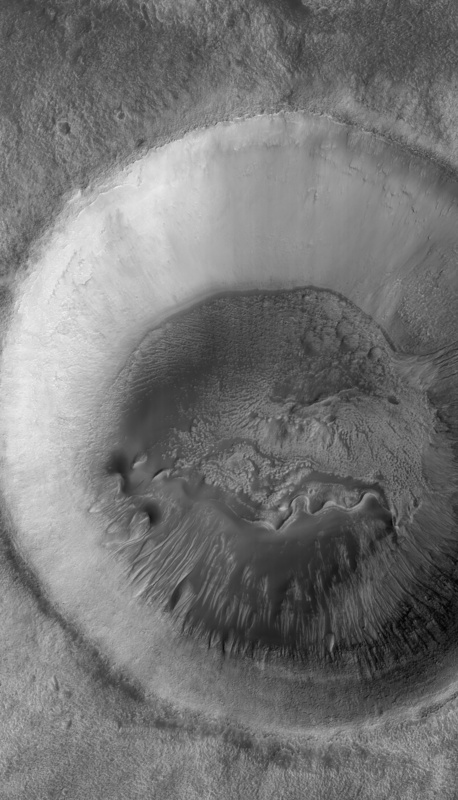 This region is being continually monitored by HiRISE to note any changes.